In this post we compare images captured with the Swift M10LB digital biological microscope against those captured with the Motic Digital BA310 microscope. The Swift digital microscope has a few features that differ from the Motic BA310 digital microscope, in that the Swift has a 3" LCD screen where you can view a live image on the microscope and capture that image directly to an SD card. (SD card is not included with microscope when purchased). The SD card captures 5 mega pixel images, whereas images captured with the included software are only 0.3 mega pixels. Although the Motic BA310 digital microscope does not have an LCD viewing screen, all images captured with the included software are 3 mega pixels. Swift M10LB digital biology microscope. 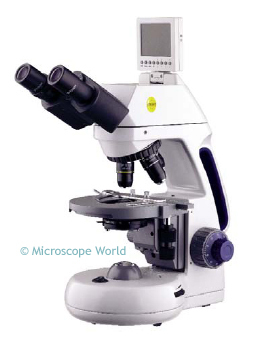 Motic BA310 digital biology microscope. Each microscope was used with the exact same sample, and images were captured using the software that is included with the digital microscopes. 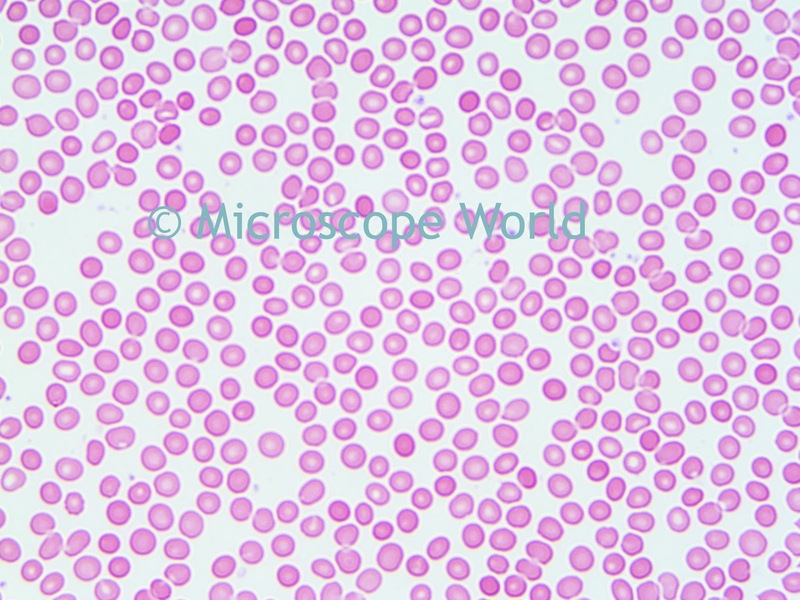 Human blood cells captured at 400x magnification with the Swift M10LB digital microscope. 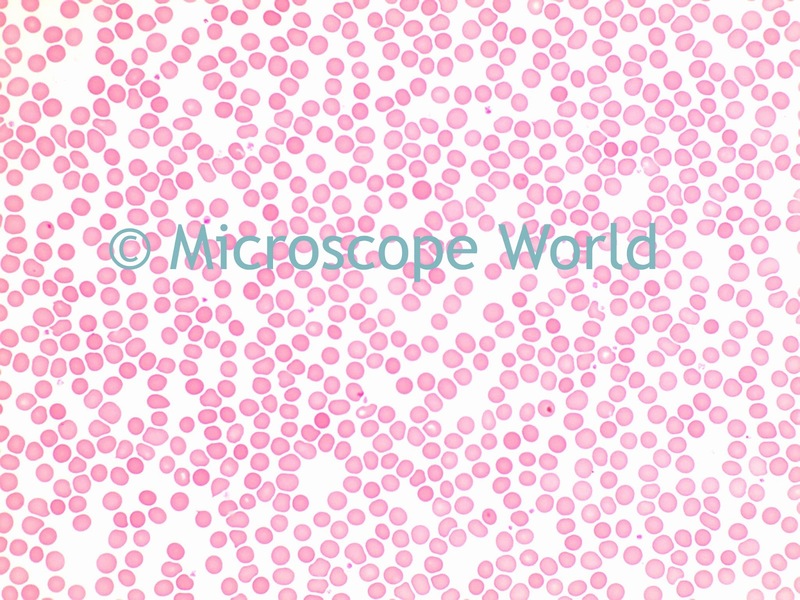 Human blood cells captured at 400x magnification with the Motic BA310 digital microscope. 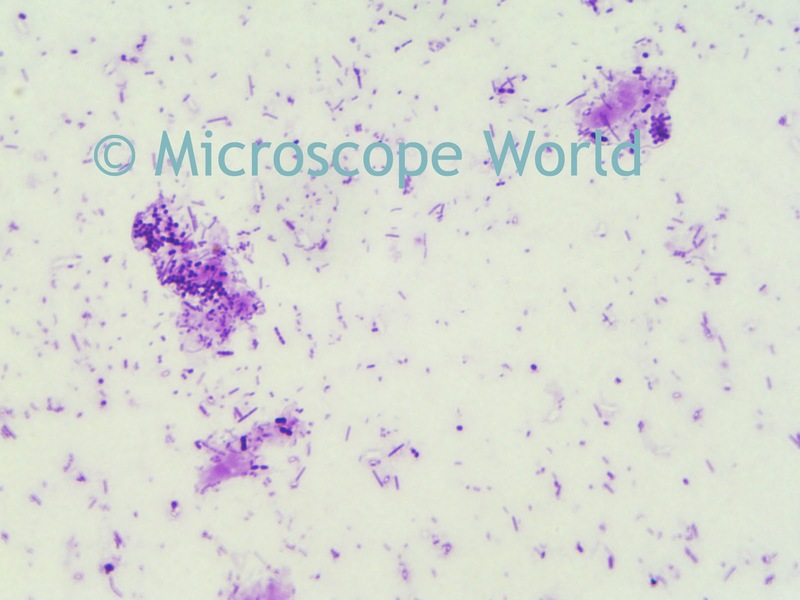 Bacteria captured at 400x magnification with the Swift M10LB digital microscope. Bacteria captured at 400x magnification with the Motic BA310 digital microscope. Each of these digital microscopes allows you to view a live image on your computer screen when the (included) software is open on the computer. Images can be captured and saved, annotated and emailed. Motion video can also be captured, as well as measurements made with the software. 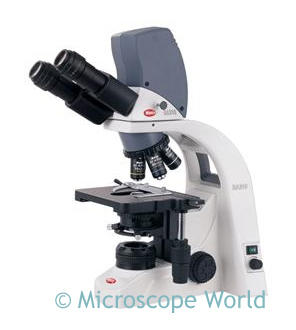 Email Microscope World with any questions regarding these digital microscopes.